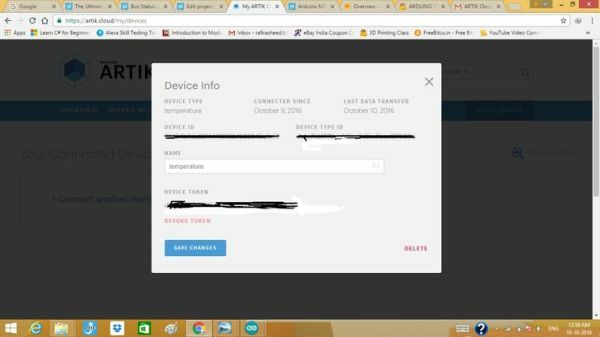 In this project find temperature using LM35 ic and post data into artik cloud. 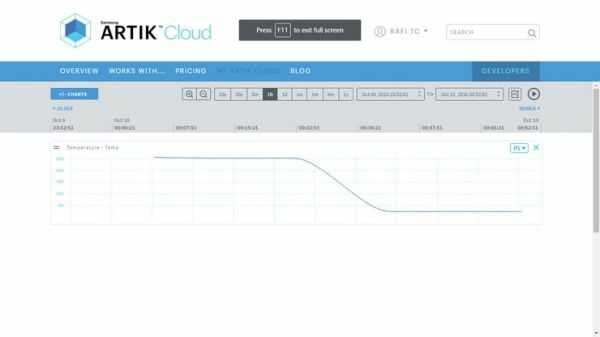 Samsung ARTIK gives you tools to reduce your IoT product development timelines, getting your product to market faster. Our end-to-end ecosystem strategy means you don’t have to develop your own modules, network stack, or cloud on-boarding. for more. 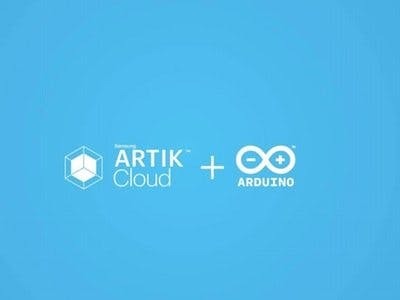 You can find many tutorial about Artik in hackster.io. 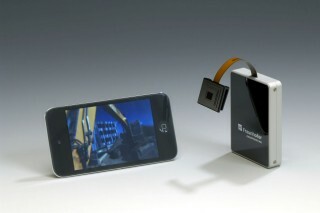 click Create Device type and Create a new device . 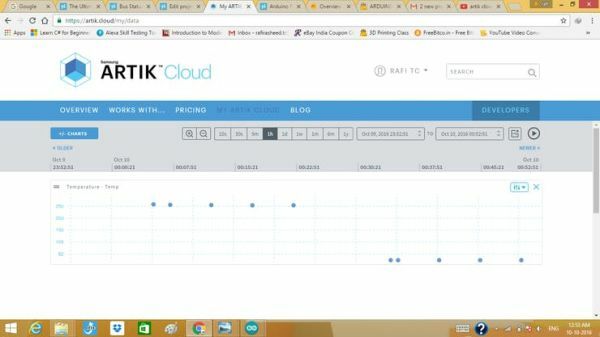 After creating a device we need some information to connect with Artik cloud. 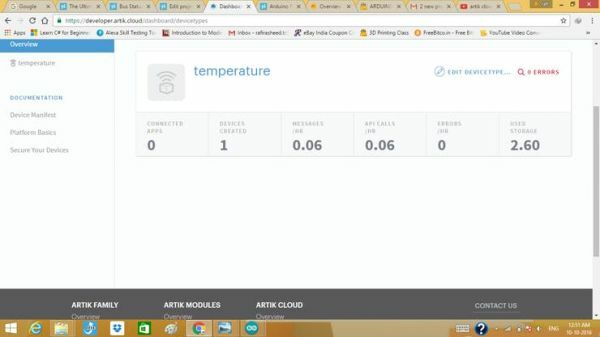 Next we are doing code to Take temperature and post temperature details in ARTIK cloud. After that we post this data into ARTIK cloud in a fixed interval. For that following have a code please checkout that. 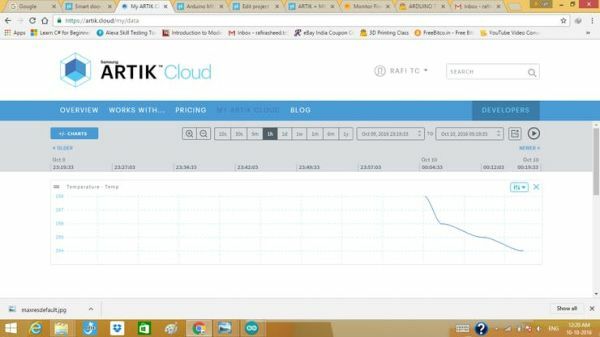 After uploading Go to ARTIK cloud and check all is fine. 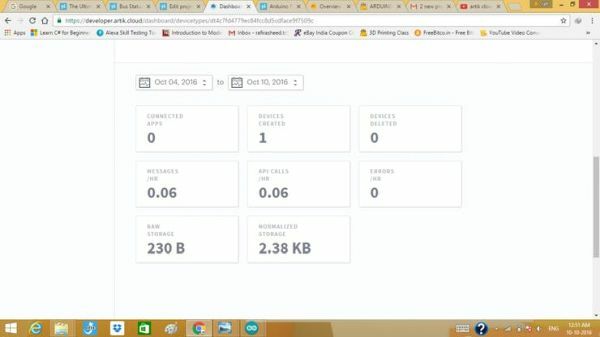 You can find your data by simply go to here. Thank you 🙂 for watching my tutorial!